WASHINGTON CITY — Authorities Monday released the identity of a 27-year-old woman who died after being trapped with her 3-year-old daughter inside a mobile home that became engulfed in flames in Washington City last week. The woman, who died Saturday as a result of the injuries she sustained during the Dec. 6 fire, has been identified as Tereasa L. Cox Hurst, Washington City Police Public Information Officer Ed Kantor said Monday. Tereasa Hurst’s 3-year-old daughter, identified as Adalynn Josephine, or “A.J.,” on a GoFundMe account created to assist the Hurst family with medical expenses, also died as a result of the injuries she received when the overpowering blaze rapidly spread through the family’s home located at 441 E. Angie Lane. “Sadly, we lost little A.J. as her lungs were damaged from the smoke,” the GoFundMe page reads. Following the fire, the mother and daughter had been transported by air to University Medical Center in Las Vegas in critical condition. Treatment efforts, however, proved unsuccessful. 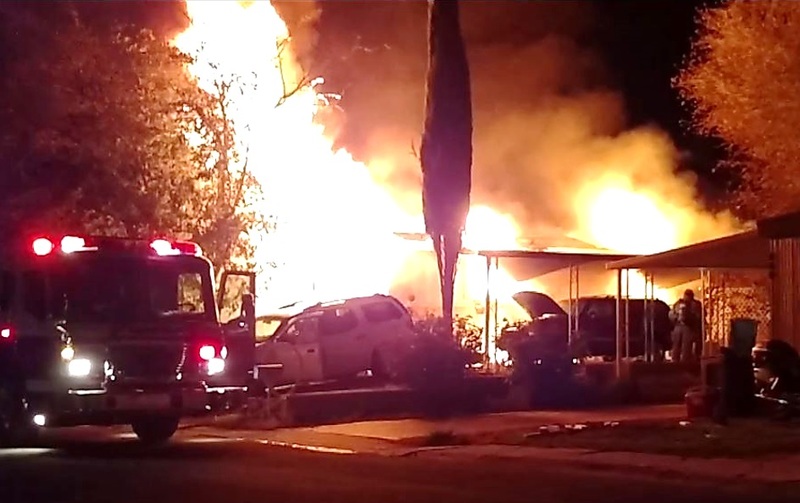 The inferno claimed the life of a third victim, who was identified as 60-year-old Richard Kirkland, a neighbor who ran inside the burning home in an effort to rescue the mother and child. Kirkland died from his injuries shortly thereafter. In addition to the Tereasa Hurst and A.J. Cox Fund, a GoFundMe account was established to help raise money for Kirkland’s medical and funeral expenses. Ed. Note: The address first published has been corrected to 441 E. Angie Lane per corrective notification from the Police Department. Blessings for the family and friends of all three victims. To the families, I am so incredibly sorry for your loss. My heart breaks for you. I do hope our community can join together during this tragic time and provide even the smallest bit of peace for you. Much love!